I spent 5 great days in the ocean off Kona, Hawaii, and 5 peaceful evenings with my wonderful friends, Carrie and Rick, who so graciously entertained me during my visit. The first series of photos was taken during morning dives. 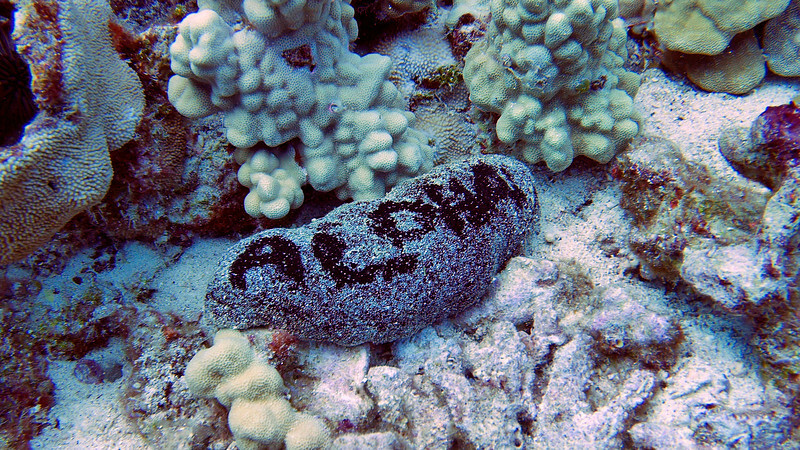 This is a sea cucumber appropriately adorned by our divemaster.